Moves Tour-Pak back 1", 2" or 3" making more room for the passenger! 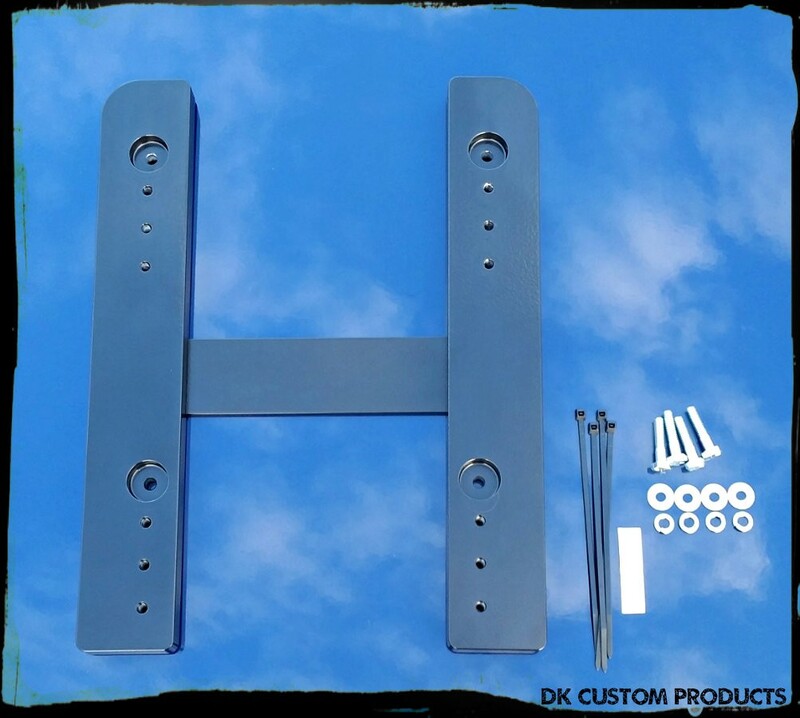 This amazingly simple Relocation kit works in conjunction with H-D's re-designed (2014+) Tour-Pak mounting architecture, making the Tour-Pak more stable and stronger with the unique DK Custom Tour-Pak Cross-Support. Go HERE for photos and details! 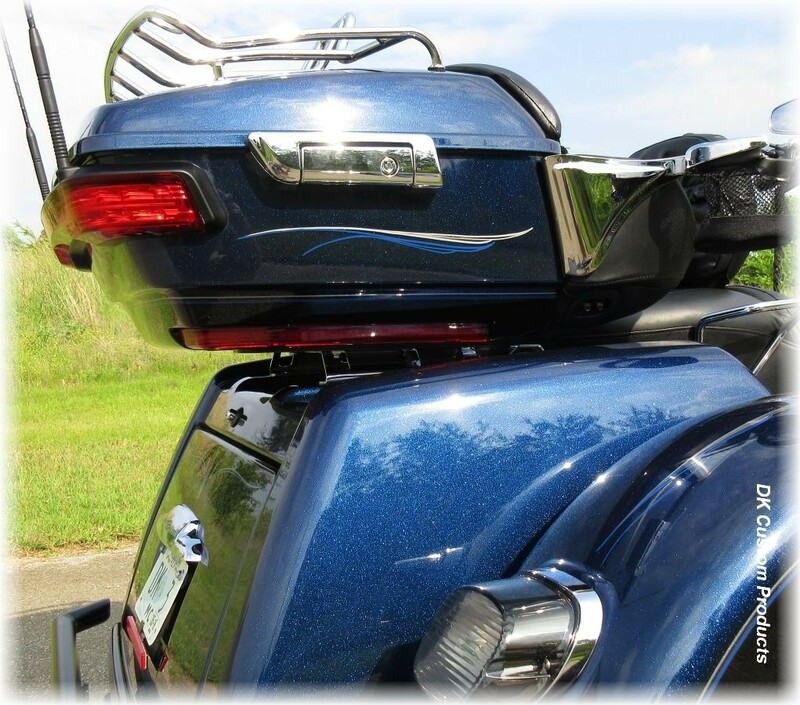 More Comfort For Your Passenger! Give Your Passenger More Room! 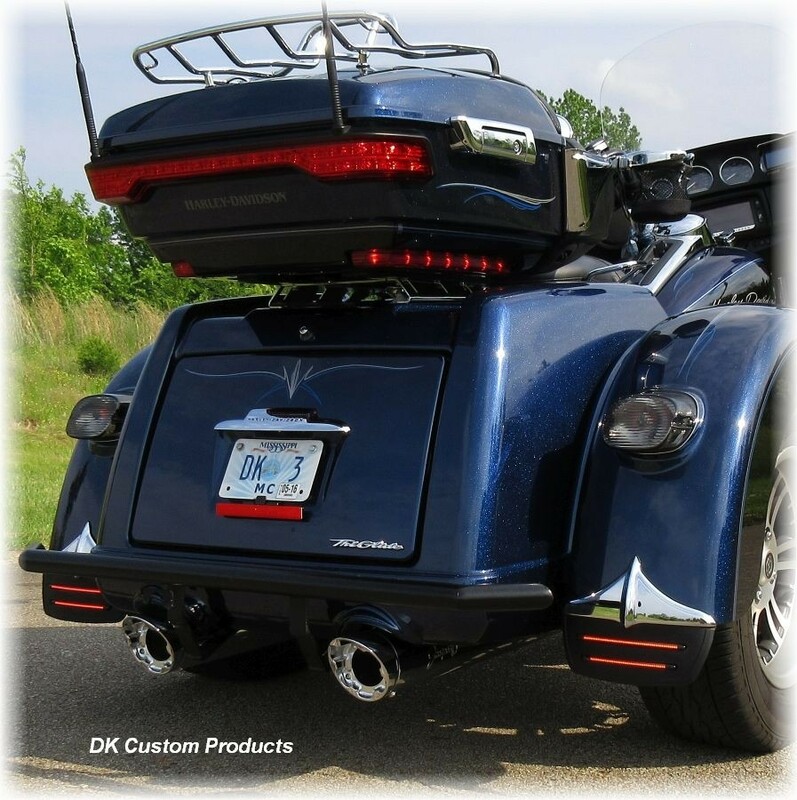 Go HERE to Find A Tour-Pak Relo for Your Trike!